The common household toothbrush. Every Flower Mound TX home has at least one, and hopefully all residents are brushing their teeth after each meal. While cosmetic dentistry and a complete smile makeover seem to be all the rage these days, daily brushing is still the most important thing you can do for your oral health. However, a few common sense tips might keep any unnecessary germs from affecting the toothbrushes of Lewisville area dental patients. 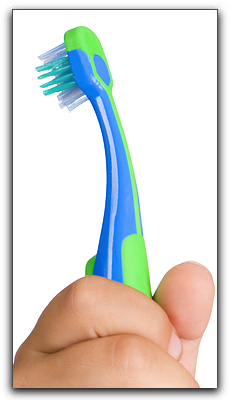 The American Dental Association recommends replacing your toothbrush every three to four months. Brushing and flossing are the key to good oral health, and doing both each day will keep dental patients’ risk for gum disease, cavities, and bad breath low. Keep your smile bright by visiting The Lewisville Dentist regularly and practicing proper dental health. Dr. Natalie Goodman has been a dentist in the Lewisville area since 2003. We can answer any questions you have about cosmetic dentistry procedures such as tooth whitening, porcelain veneers, dental implants, and clear braces.